Home / News / Ready to Renovate? If you’re looking to change up your lifestyle without actually moving to a new area, renovating your home could be the way to go. A fresh design and feel inside your home can completely change your day to day life; however, the renovation process can be quite stressful. 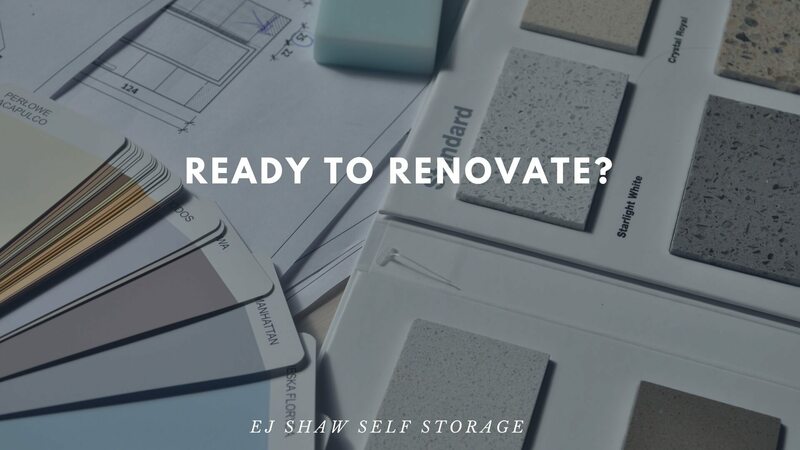 There are a few easy things you can do, including renting Bayview storage from EJ Shaw Storage, to make the renovation process run a little smoother. The more effort you put into planning your home renovation, the more likely the process will run smoothly. One of the first things you need to plan is how much renovation you’ll be undertaking. Completely redoing your entire house might not be practical, and the renovation might run better if it’s completed in stages. If you’re completing major renovations to your kitchen and bathroom, these spaces may become unusable. If this is the case, you need to plan alternate accommodation. Hi and hello from COUNTERTOP DAY! I thought cabinets were gonna have the biggest impact but no, this was the one that made me cry. Still to go: backsplash (glossy, for those keeping track at home), window trim, floor trim, painting the ceiling and appliance move-in. We’re so close! If you have pets or young children, you’ll need to take some extra precautions to ensure they remain safe. Make sure the staff working on your home are aware of when your pets or children are around so they can keep an eye out. Bringing some physical barriers, such as play pens or portable gates, can help you ensure the safety of your family. Renovations work better at certain times of the year, especially if they include outdoor areas. Make sure you take these factors into consideration when planning your renovation. How often is it likely to rain or storm? What is the average temperature most likely to be? What time does the sun rise and set each day? Thinking ahead will help you ensure you plan your renovation for the time of year most convenient for everyone. During the renovation, it’s more than likely you’ll have to start storing items in other rooms. For example, if your hallway is being renovated, you’ll need to store the contents of the linen closet elsewhere so you can still access those items. While this might seem easy enough, it can quickly create a messy nightmare in your home. Instead, consider moving some of these displaced items into Bayview storage. This will keep those items clean and safe, and won’t clog up the rest of your home while certain rooms are under construction. Bayview storage can also be perfect for protecting your fragile and valuable belongings during the renovation. Construction sites are messy, and your home will most likely be filled with dust and debris. Moving your valuable items into a storage unit will keep them safe from this mess. It will also prevent accidental damage to fragile items. Planning, decluttering your home, and protecting valuable or fragile items will make living through your renovation easier. 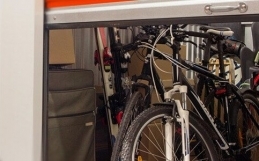 Bayview storage from EJ Shaw Storage may offer the best option for protecting your possessions and giving you peace of mind. Contact the team of experts today to learn more about your options. 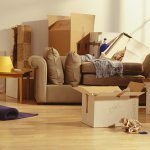 How many boxes do I need when I’m moving house?